Susan Ashford is Chair of the Management and Organizations Group at the Ross School of Business at the University of Michigan, where she holds the Michael and Susan Jandernoa Professorship in Management and Organization. Her passion is using her teaching and research to help people be maximally effective in their work settings. Her research has been published in a variety of top academic outlets as well as in the business media. In 2002, Sue was named a Fellow of the Academy of Management, recognizing the top 1% of scholars in a world-wide professional association of nearly 20,000 professors and practitioners interested in improving management scholarship, education, and practice. That association also awarded her the prestigious Career Achievement Award for Distinguished Scholarly Contributions to Management in 2017. 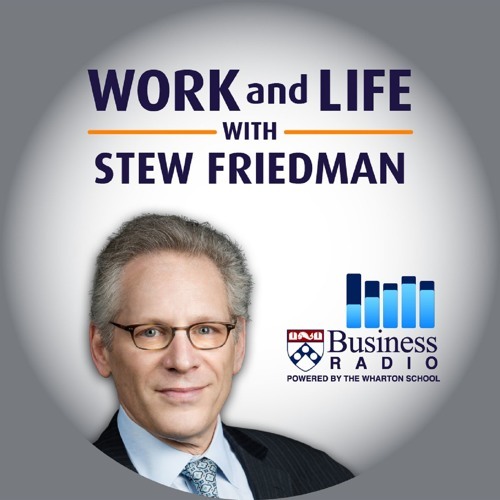 Sue and Stew discuss how to make the gig economy work for you by cultivating connections to people as well as to place, establishing routines, and focusing on purpose. They talk about the pros and cons of working independently. In the second half of the conversation they delve into Sue’s highly practical research on feedback-seeking, seeing yourself as a leader no matter what your role, and engaging mindfully in the lifelong challenge of learning to lead.